The day before Christmas Eve on 2014, we got the news that my mother’s cancer was terminal. It was shocking and upsetting because this confirmed our worst fears. Mom was done with radiation and chemo and considering how frail she was, there is no way she could live through other treatment options. By this point, she was fading quickly… Mom made the decision to choose Death with Dignity. There were a lot of mixed emotions in the family, we were all rather panicked but respected her choice even if some didn’t support the decision. No one wanted her to die alone. Her suffering was getting worse with each passing day it was heartbreaking. There isn’t really a guide for what to do when someone you love chooses to end their life. 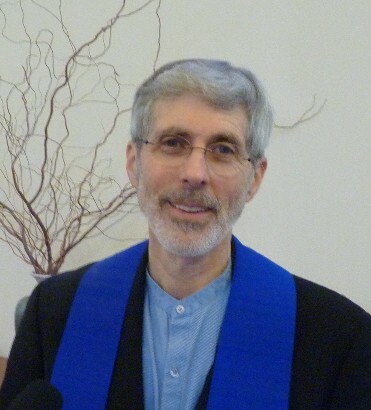 After making contact with Compassionate Choices, I had my first meeting with Reverend Rick. I wanted a religious figure to be there when my mom passed, one that my mother would accept. It was paramount to me that she left this world emotionally and spiritually at peace. I had not considered an End of Life ceremony, or more precisely I hadn’t been able to express that need. Reverend Rick, had been there for others who chose this path and was able to talk about how it could be handled. It was a relief to have someone experienced and compassionate in these matters. Reverend Rick was able to meet with my mother and address her concerns. He wanted to make sure that she was comfortable with every word in the ceremony. The End of Life ceremony allowed close friends and family members to be there when she passed. But the ritual is just a script and Rick deviated from the text to best suit the needs of my mom and the emotions of the group. It was a highly emotional environment and everyone had vast religious differences. Everyone felt comfort from Rick being there and no one was offended by how he handled such a deeply private moment. Afterwards, family members expressed their thanks for having him there and for doing the End of Life ceremony. I was keenly aware of the emotional danger that my mother’s death would bring on me. I have had issues with depression in the past. While grief and depression are different things, they don’t necessary work well together. Every day was gray and flat, grief had run over me like a freight train and it was all I could do to move from the bed to the sofa. There I would just sit and stare at the wall. I couldn’t stand music, or movies so I would just sit doing nothing… everything in life was suddenly felt very empty and life gave no indication that this would change. Rick had suggested that I volunteer in the office and Sam managed to set things up so that there were little projects that I could work on. It has been a year this February since I have been helping to work on the rough draft of the Order of Service and PowerPoint. While it may not have always gone smoothly, my Tuesday trips into UUCS office became my Raison D’être (my reason to live). It was the only thing I looked forward to doing. Yet each week it was a victory that I had gotten out of the apartment. It was the least I could do and it was the most I could do. That was enough, I wasn’t going to demand more out of myself. Still, I was searching for something more than going to the office once a week. At some point, I needed to add something else to my life. Sitting on my sofa in one of my darker moods and I was desperately trying to do a mental inventory of the things I used to love doing. Where was my passion? Where was my joy? I thought of film school and scoffed to myself “Well that was a waste of an education”. Less than a week later Vicki approached me about possibly doing a video that the Women’s Alliance was interested in having done. I was shocked and jumped at the chance to put my knowledge to use and gently get back into my love of film editing. I wanted to offer my story. I feel that there is a lot that UUCS offers the congregation and the community that are not things that are shared because they are too personal or are things that can’t be advertised. I’m not sure how the tagline “UUCS a reason to get out of bed once a week” would test. I want to thank the congregation for giving me the opportunity to volunteer and to be engaged with projects that remind me that there is joy in life. Whether you know it or not each member of this congregation is, in fact, part of my healing, a light in my hour of grief.